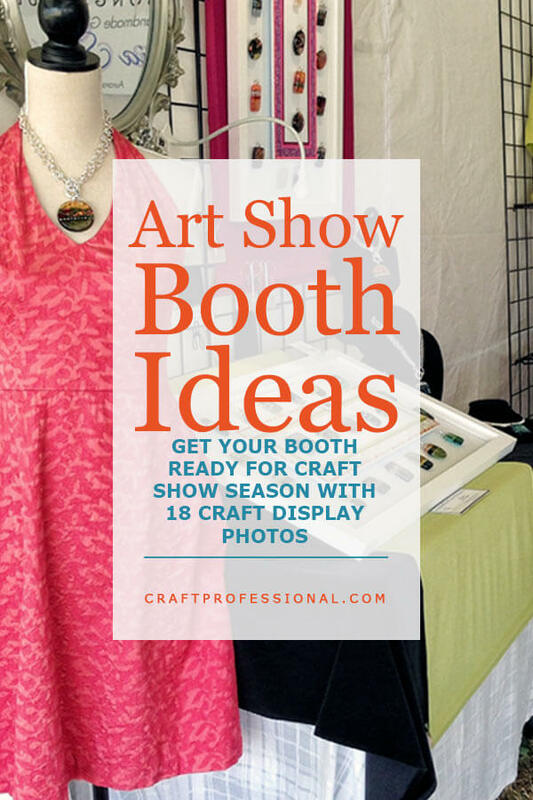 Get your art show booth looking great with ideas from these gorgeous craft booth photos. Plus, learn about a portable canopy that's popular at craft shows, and Discover How to Make your Craft Website Pinterest-friendly. This week brings you help getting your art show booth ready for the upcoming show season. 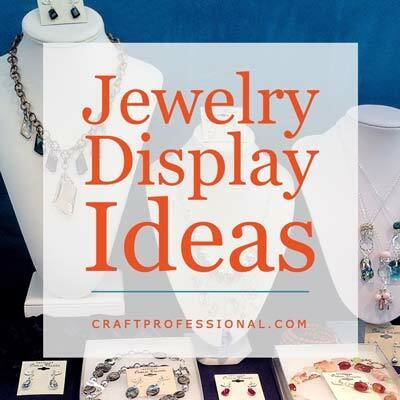 If you sell at craft shows, you're probably busy planning and creating, or improving your display for this season. To help you with that task, I have 18 craft show booth photos with clever DIY display ideas, and ready-made options. These photos feature jewelry booths, but even if you're not a jewelry designer you can get inspiration from these photos. The EZ Up brand tent is quite popular among craft artists. If you're in the market for a new protable canopy, you can read more about this popular brand in this week's newsletter. Finally, I'm continuing work on the Pinterest for Business series. This week you'll learn how to optimize your craft business website for Pinterest to encourage people to share your site on Pinterest, so you can grow your business online. 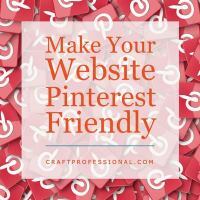 The next article in my Pinterest for business series shows you how to optimize your craft website to make it more enticing for Pinterest pinners to share. It takes some time and work to make your website Pinterest-friendly, but the social platform can send substantial traffic to your site, and a single pin can send traffic for months. I think you'll find it's well worth the effort. 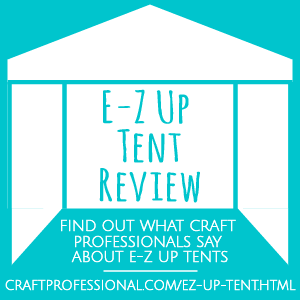 The EZ Up Tent is quite popular with craft professionals. Here's what you need to know about this portable canopy. Are you up for a little craft booth DIY? Here are 8 photos of clever, portable, and affordable displays you can make yourself. 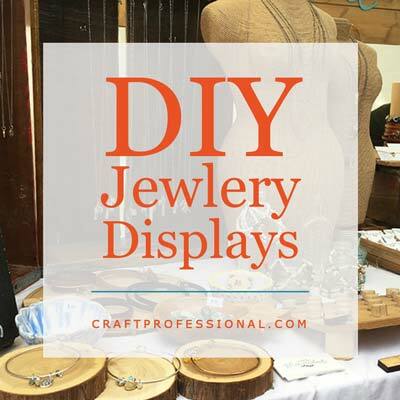 10 more jewelry booth photos to inspire your own craft booth design. Show your customers some love! 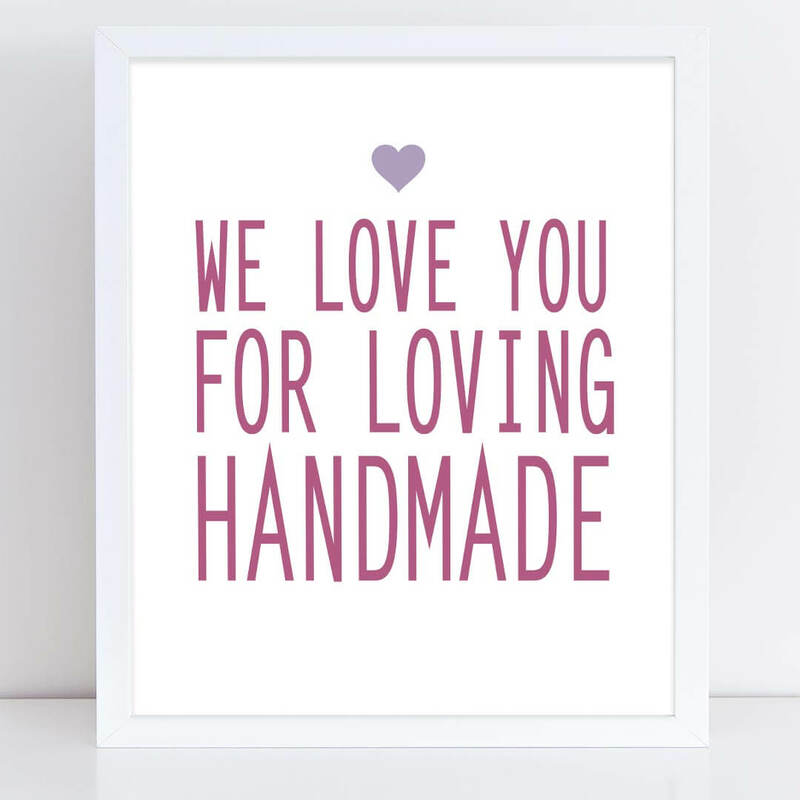 "We love you for loving handmade." Encourage your customers to splurge a little. 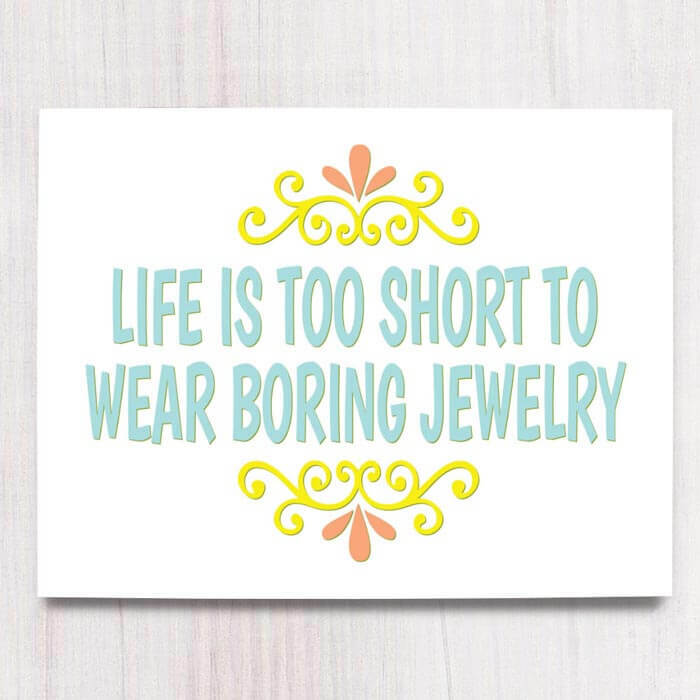 "Life is too short to wear boring jewelry." 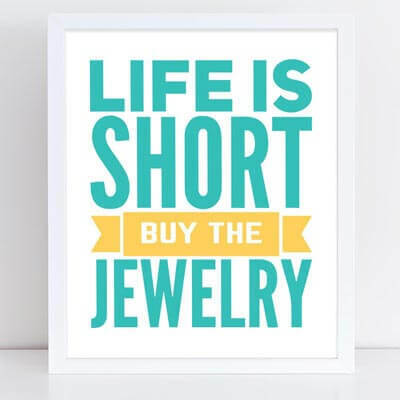 "Life is short, buy the jewelry."